MAS Financial Services shares surged as much as 46% to Rs 670. 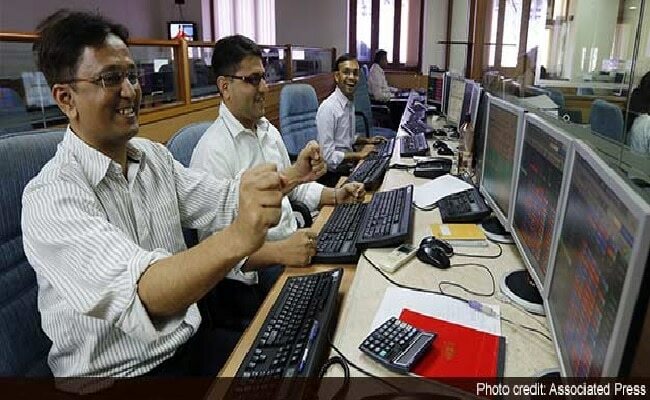 Gujarat-based non-banking financial company (NBFC) MAS Financial Services made a blockbuster debut on exchanges on Wednesday. Its shares surged as much as 48.47 per cent to Rs 681.50 compared to its issue price of Rs 459. The initial public issue (IPO) of MAS Financial Services, which ended on October 10, was subscribed a whopping 128.39 times with strong demand coming from non-institutional investors. The segment reserved for non-institutional investors was subscribed 378.53 times while the qualified institutional buyers (QIBs) portion saw subscription of 148.33 times. Meanwhile, the retail category was subscribed 16 times. With this strong listing, MAS Financial Services joins the league of successful IPOs in 2017 which include Prataap Snacks, Capacit'e Infraprojects, Dixon Technologies, CDSL, Hudco, Avenue Supermarts and Shankara Building Product. Godrej Agrovet, which was listed on exchanges earlier this week, also saw a strong response with its shares gaining 27 per cent on the same day. MAS Financial Services, which raised Rs 233 crore of fresh capital through this IPO, will use it for augmenting its capital base to meet future capital requirement. MAS Financial Services has been in operation for more than two decades. Its branches are spread across six states and the NCT of Delhi. The company started its operation with focus on micro enterprises (ME) loans and gradually expanded its loan portfolio to two-wheeler and commercial vehicle, SME and housing loans. To leverage its existing client base and network further, it has now extended loans to agricultural input and equipment segment. MAS Financial Services has reported a net profit of Rs. 69 crore on net interest income (NII) of Rs. 172 crore in the previous fiscal year. Its net profit has grown at a CAGR of 26.43 per cent while its NII has witnessed a CAGR of 24.75 per cent over the FY2013-2017. Despite this robust growth, MAS Financial Services' gross non-performing loans and credit costs have remained in a band of 1-1.2 per cent over the past many years. MAS Financial Services shares closed 42.57 per cent higher at Rs 654.40 compared to issue price of Rs 459.